Here's a beautiful quote from Abraham Joshua Heschel that is included in our Creative Call course, a PlayGroup that has been exploring the sources of creativity and how to overcome roadblocks to sustained creative expression. The most common roadblock to creative expression is time--or rather, lack of time. 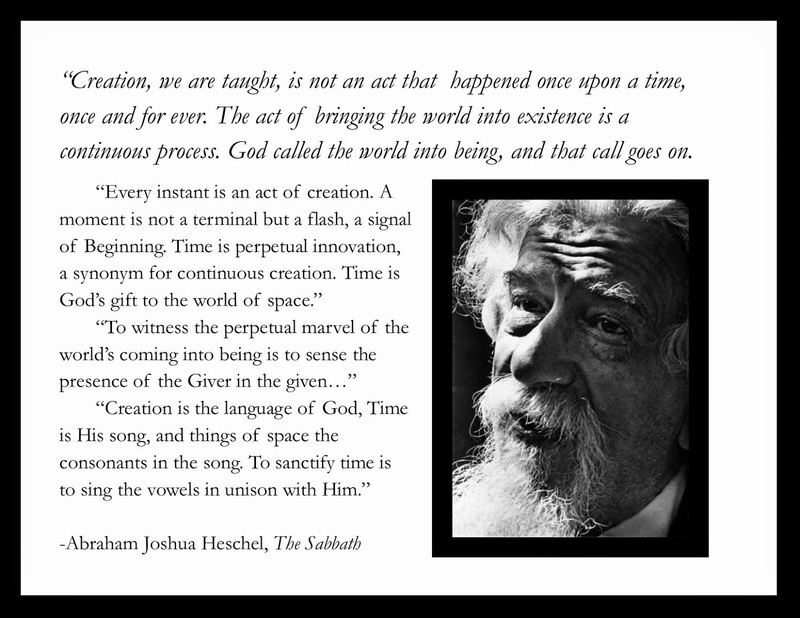 This gem of a thought from Heschel puts the notion of time and creation in perspective. If we view the issue from the standpoint of joining God in the song of time, we see that every day is filled with possibility. We don't need to be defeated by busyness. PlayFull exists to help others play from the inside-out. We are almost finished with a successful run of our Creative Call PlayGroup but we are going to run it again in the Spring. If you live in the Chicago area and would like to attend, email Troy to let him know. And don't hesitate to ask: "What's this all about, anyway?" Thank you for reading. While you're at it, like PlayFull on Facebook or follow us on Twitter. Yes, I know what that feels like. To be forgotten and overlooked. work sprung from joy and hope. But only a few notice. but want to be found. I feel ready to give up. I have spent a long time…trying. the God of the discouraged.